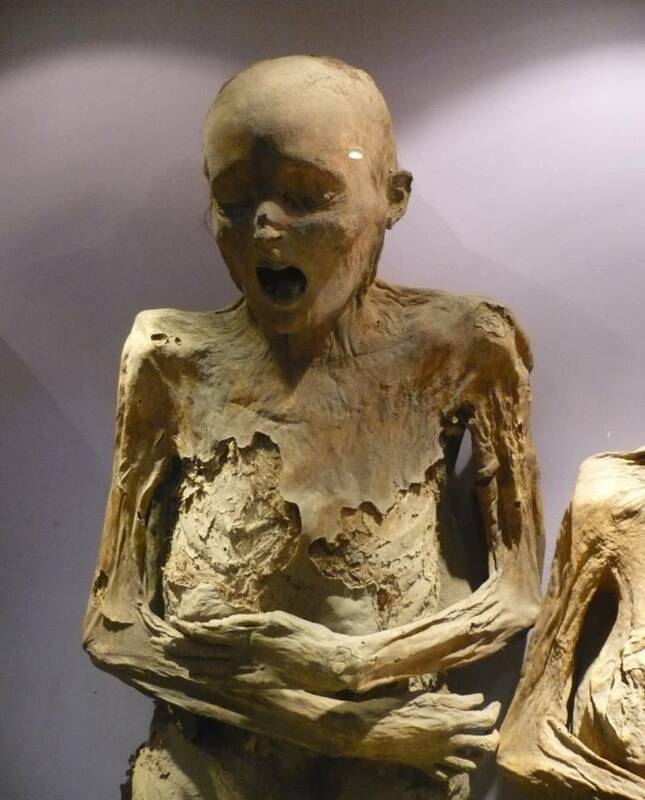 One of the Guanajuato mummies on display at the Museum of the Mummies in Guanajuato, Mexico. 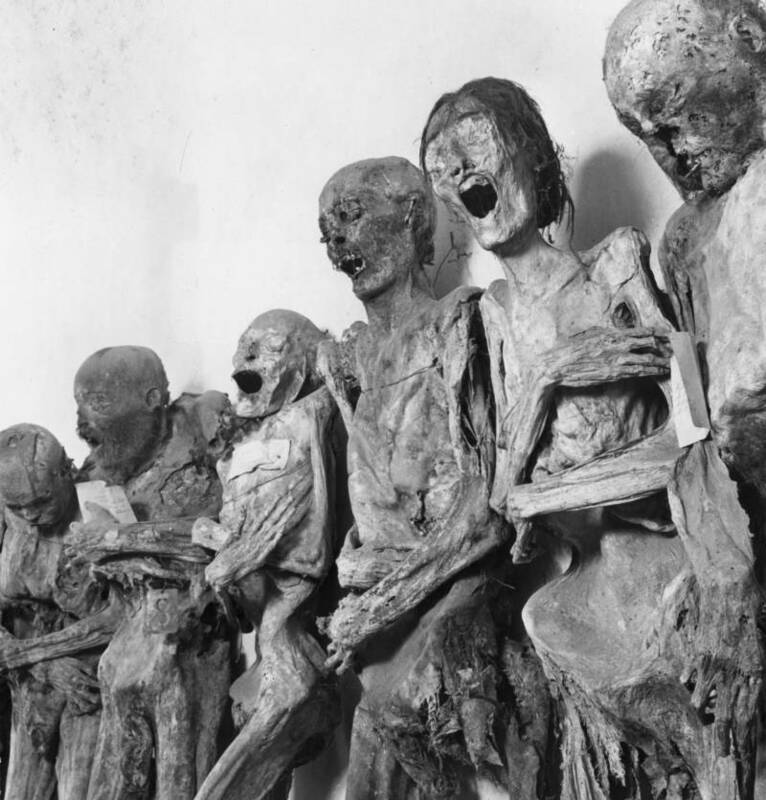 A view of some of the Guanajuato mummies. 1952. 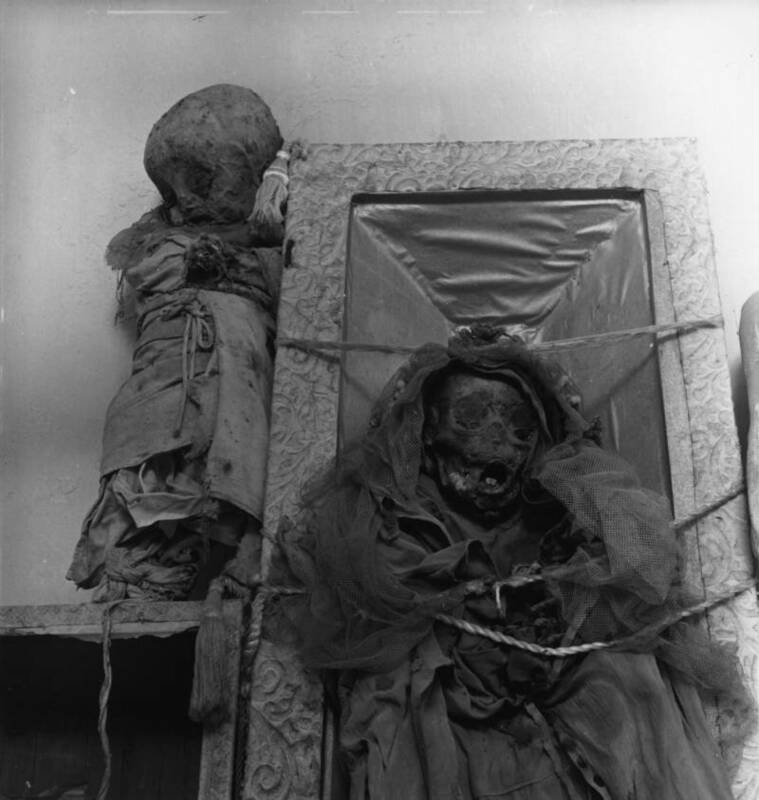 A mummified infant of Guanajuato. 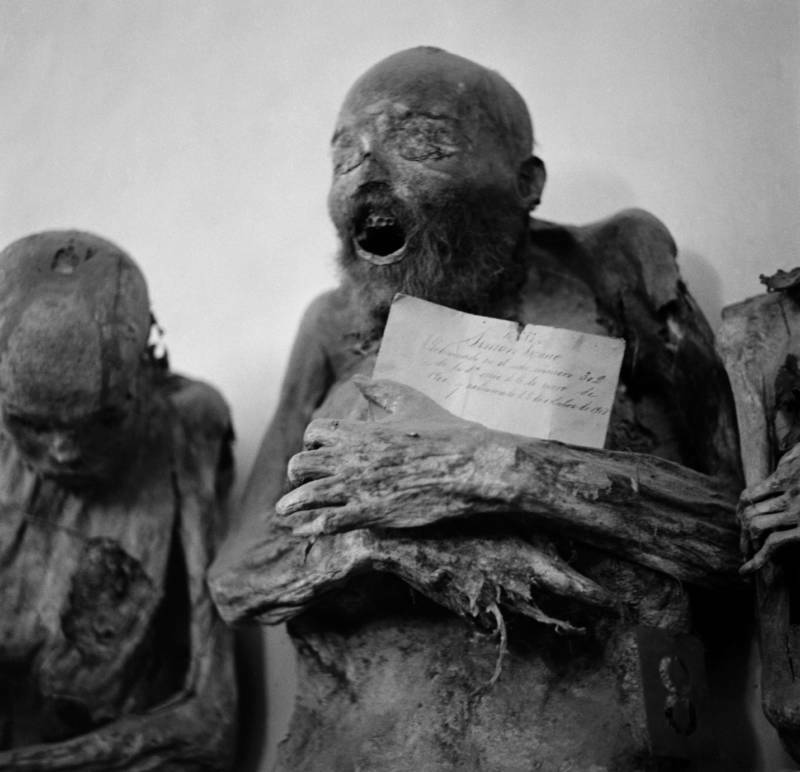 One of the Guanajuato mummies clutches a document. 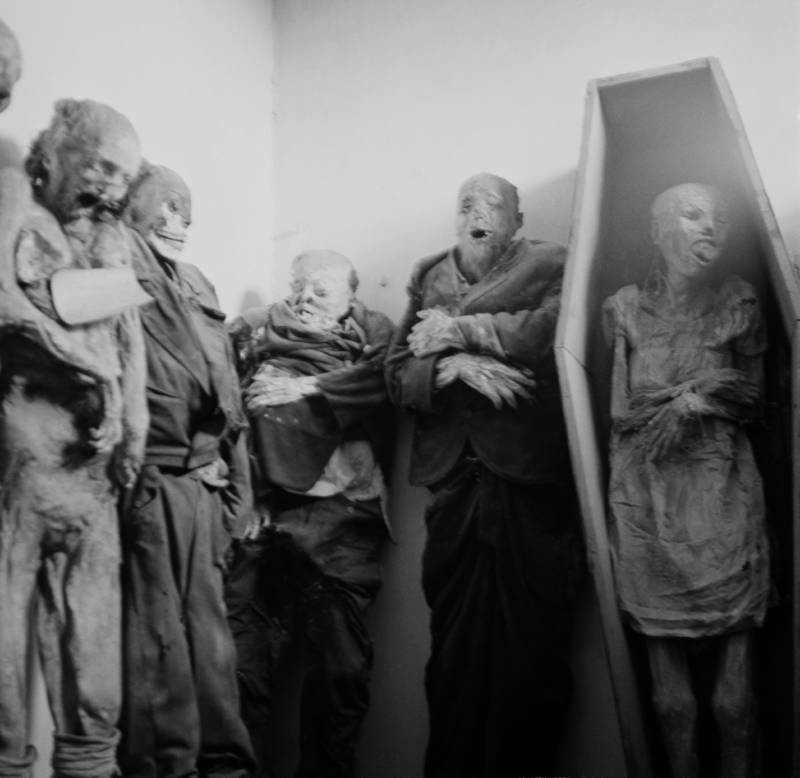 Guanajuato mummies on display. 1955. 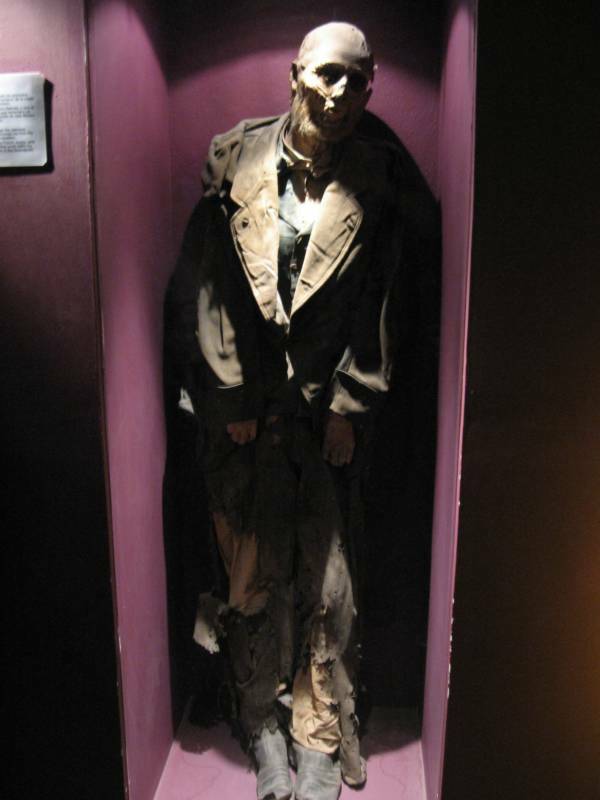 One of the Guanajuato mummies on display. 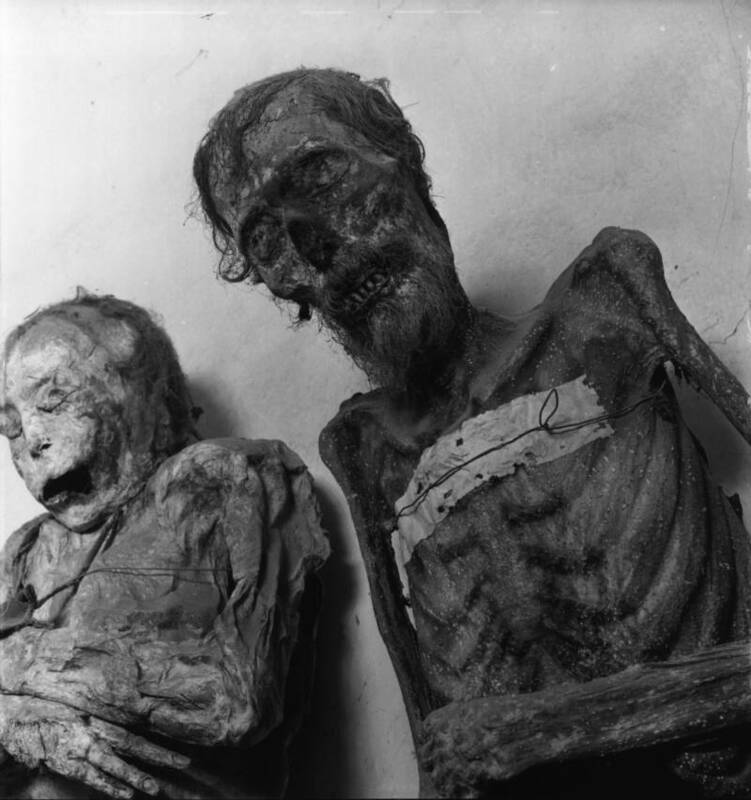 Two of the Guanajuato mummies on display. 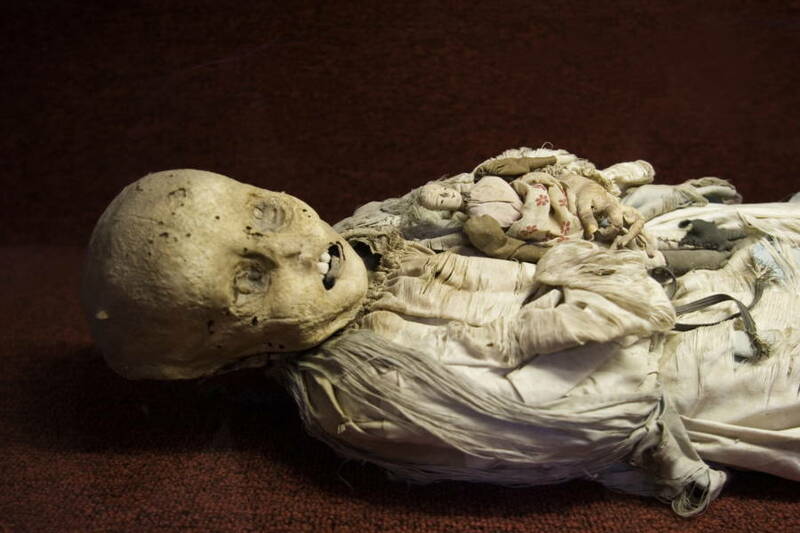 This mummified infant is considered one of the smallest mummies in the museum. 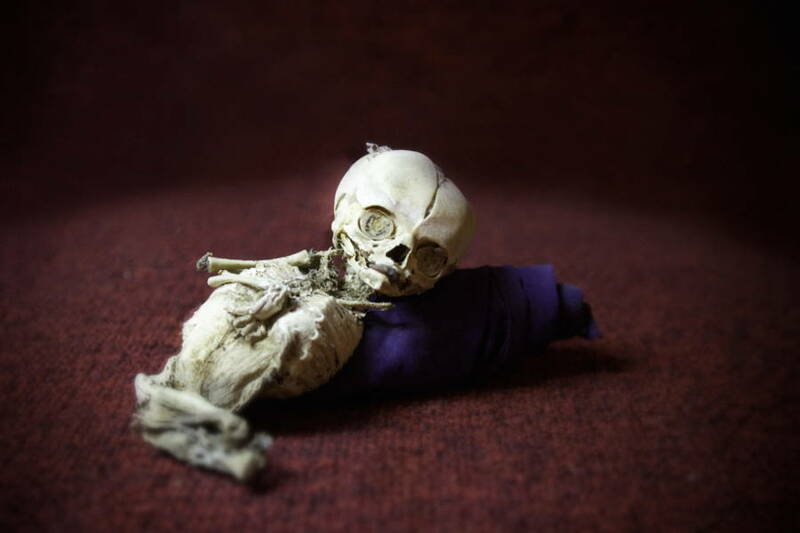 A young girl buried in her communion dress. 1955. 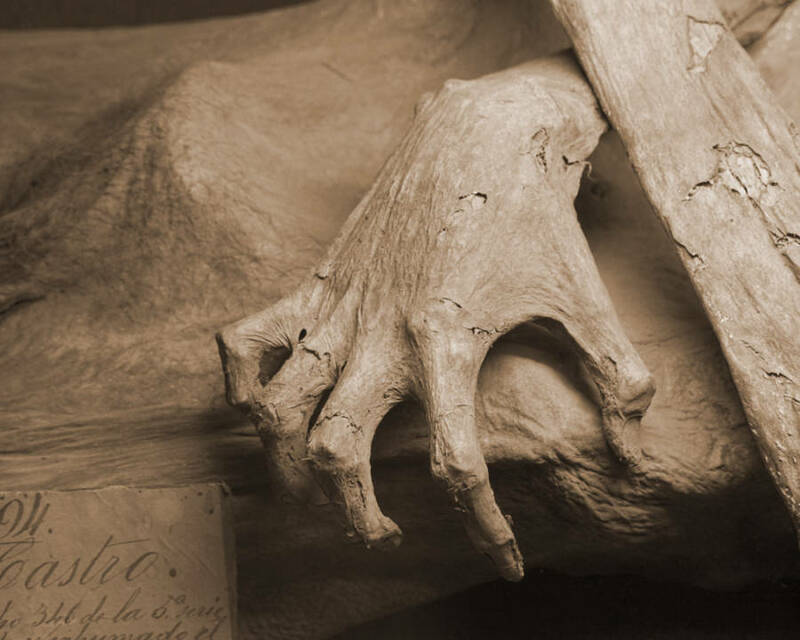 The hand of one of the Guanajuato mummies. 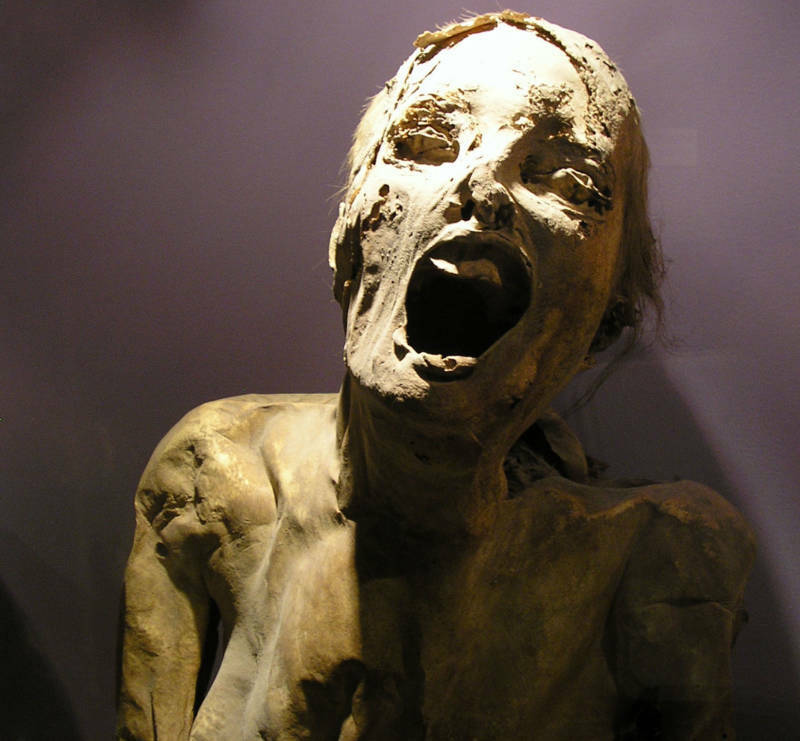 One of the Guanajuato mummies. 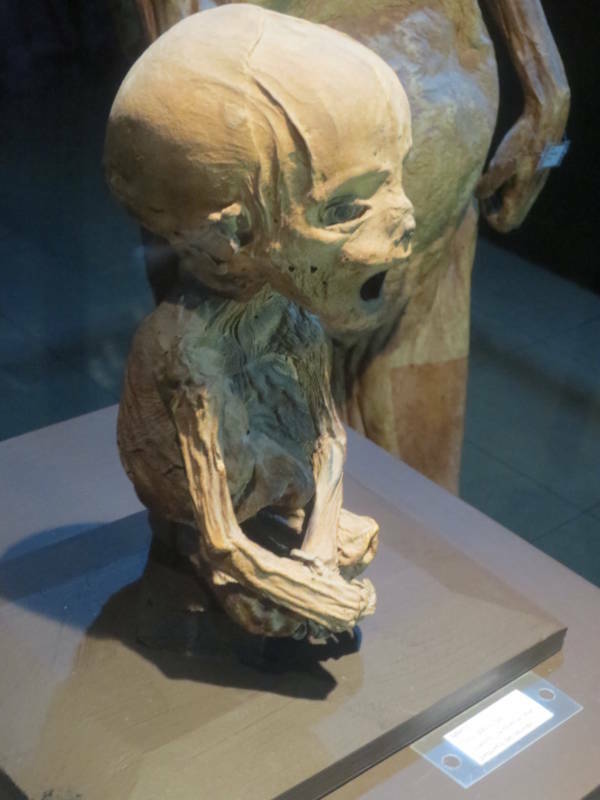 A mummified child on display.